Out of Stock, Available soon. 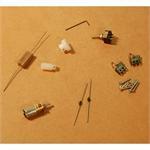 Advanced kit for experienced modelers. Available in single and double track versions. Our model is based on a bridge built in the early 1900's and was designed by the Scherzer Rolling Lift Bridge Co. The bridge has a counterweight and raises with a rolling lift motion that moves the bridge up and out of the way. The rotation axis occurs at the pinion point which is located along a toothed rack. By pulling the pinion gear horizontally along the rack the bridge is rolled back and lifted up. The bridge rolls along the bottom on a segmented girder. The curved part of the girder has guide pockets that roll across guide blocks. This keeps the bridge aligned and from slipping. Our bridge has a 75' (10.25") lift bridge span and a 30' (4.0") fixed bridge span. The total length is 110' (15") including the abutments. The single track bridge requires a space 15" long and 3" wide. The double track bridge requires a space 15" long and 5" wide. The distance from the bottom of the base to the bottom of the track is 3.5". The motor kit is sold separately. 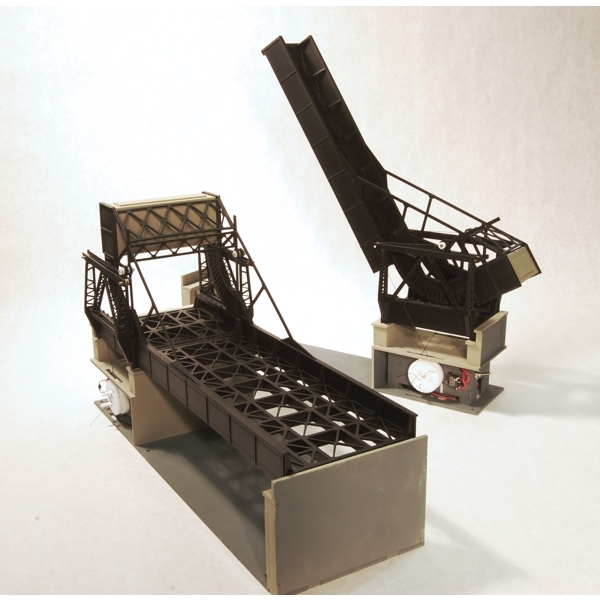 Download a copy of the HO scale instructions for the Single Track Rolling Lift Bridge. Download a copy of the HO scale instructions for the Double Track Rolling Lift Bridge.